If we see photography as the most objective act of our human desire for making “ourselves known” and treasure memories to behold, then the Polaroid camera deserves a special place in photography's history. Today day we want to talk a little about, and delve into, the history of the Polaroid camera in photography. Photography will always owe its existence to restless inventors and chemists who strongly persevere to reach their goals. The person behind the great invention that brought photography to a genuine state of immediacy was Edwin H. Land. Land decided to leave Harvard University at the age of 17 to focus on scientific research linked to the application of polarizing light filters. Now tell me about some real passion for light and optics! Before Land decided to invent his revolutionary and very well developed instant camera, Kodak had tried to make something similar with their not practical at all Teddy Camera in 1924. While on vacation with his family, his 3-year-old daughter asked him why she couldn't see the picture he had just taken of her. Quite an obvious question for a 3-year-old toddler. But Land was a visionary man, and he started cooking the idea of an instant camera that very same day. Prior to that day perhaps he wasn't even remotely close to being interested in photography, his field was directed to vision-related optics. Thanks to his ingenuity and perseverance, Land showed an instant film camera to the Optical Society of America on February 21, 1947. This new camera allowed the user to see the pictures almost immediately after they were taken without the need for film development nor film chemistry knowledge. With that, he offered a solution to his daughter's inquiry and solved our social need for visual immediacy. This changed photography forever. Polaroid has been a pretty highly diversified brand since its beginnings and has suffered some ups and downs as many other camera brands have out there. There are however three iconic product milestones, and they are the most important Polaroid cameras ever made. According to history, this was the first commercial success in the field of photography from Polaroid. At the exclusive product demonstrations, they sold all the units available. Motivated by the unexpected success they started producing the new camera. During the first year of life, they made $5 million in sales. It was sold at $89.95 at Jordan Marsh department store in Boston, Massachusetts. 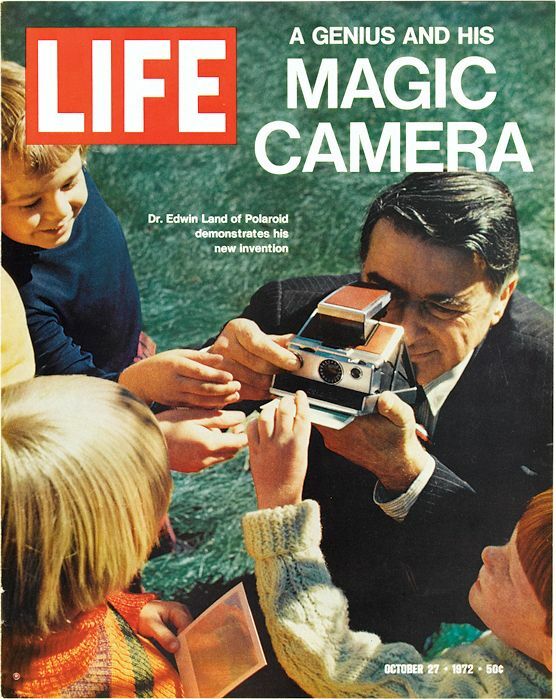 This elegant camera debuted as a futuristic gadget that even appeared at the cover of LIFE magazine in october 1972. Folding cameras weren't a new thing of course, but when unfolded this camera didn't resemble any known camera, and when folded it didn't look like a camera at all. It was a revolutionary camera. It had a bi and bright viewfinder that made focusing precise and pleasant. After pressing the shutter button, the magic began! It had a motorized printer that delivered an intact sheet still at a blank stage. After a while, the image was in your hands, it was a marvel. Besides the iconic picture-shaking manoeuvres, perhaps this Polaroid camera is the most emblematic symbol that comes to people's mind when they think about Polaroid. This camera has such an iconic look, that even Instagram's first logo was almost a copy-paste from it (don't deny it Instagram). There where a lot of 600 series variants made during the 1980s and 1990s, and they are still highly desired by hipster culture (even being used as simple life-style props). Well, long story short, the company went bankrupt in 2001 as one of the many casualties left behind by digital photography. After a pretty exhausting legal process, the new owners were able to hold the “Polaroid Corporation” name. In 2017 a new awakening shook the old Polaroid's tomb, the Impossible Project (a project guided by Oskar Smołokowski). Smołokowski and other investors decided to acquire whatever was left of the machinery that Polaroid used to make their instant film, also they rented the brand's factory in Holland, and turned it into Polaroid's headquarters. Nowadays they have several products and have recently launched the One Step 2, a lovely looking remake of the original One Step (also known as the 600 series). Photography changed forever thanks to the curious mind of a young girl. Today we look at the Polaroid camera with nostalgia, these cameras gave us at an immediate pace moments that would become eternal, and tangible, memories. 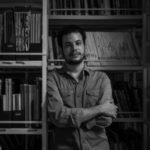 Nowadays, this has changed, and our individuality resides fragmented into countless pieces in each and every device with access to a social platform via an internet connection. If you have a love for, or connection with a Polaroid camera then please share it with us in the comments below.